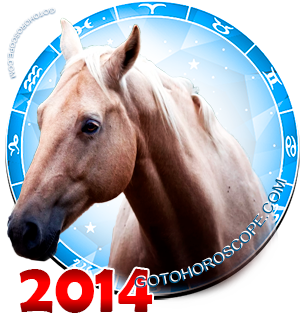 June 2014 Horoscope Aquarius, free Monthly Horoscope for June 2014 and Aquarius Astrology Forecast for the month ahead. 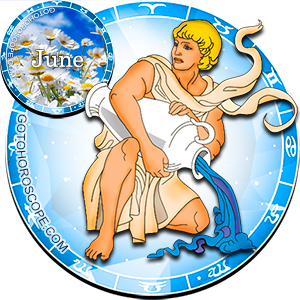 The Aquarius, the sign that is finishing the Air trigon of the constant cross, in January 2014 should be confident in one thing - the luck is on his side. While some celestial bodies of the Solar System will be certainly standing against the energy of the Aquarius sign, most of it will be in line with the Aquarius, which undoubtedly speaks volumes about the success of this period for this sign. Mercury, the unchangeable ruler of the celestial trade paths, being the planet-exalt of the Aquarius will concentrate most of his positive energy on the sphere of business. In this respect, the Sun will also be on the side of Mercury, which is usually responsible for the "expulsion" of the Aquarius, but this month will play the role of its "celestial leader". As a result, the solar positivity will increase the beneficial tendencies in relationship with the entrepreneurial activity and the work sphere as a whole. At the same time, Saturn - the planet-ruler of the Aquarius sign will meet in battle with Mar, responsible for the "fall" of this sign. The goal of these celestial bodies will be in the absolute energy dominance over the sphere of personal relationships of the Aquarius. In this direction, a unitary decision will be hard to make. Perhaps, the result of the conflicted situations will depend more on the Aquarius himself, rather than the planetary emanations. You should pay special attention to this fact. So the sphere of entrepreneurial activity will be kind to the Aquarius in June 2014. The celestial bodies with the positive attitude will provide you with everything you require - confidence, drive and energy. You will just have to implement your plans into life. It is likely that during the first ten-day period it would make sense to "feel" the ground of the polygon, gathering not only information but also resources. With the break of the second ten-day period, the stars recommend you take active measures up to their climax with the beginning of the third ten-day period. This is the most optimal, but the most relative scheme, the secondary elements of which may be distributed absolutely disregarding your wishes, but due to the current situation. Realize one project after another and do not worry if something will not work from the first time - you will have enough time to try again. Just keep your composure and fighting attitude. You will not have a problem in anything else. In terms of personal relationships, problems will definitely occur. The stars do not scare you, but warn you and knowledge of impeding rouble is an advantage in itself. 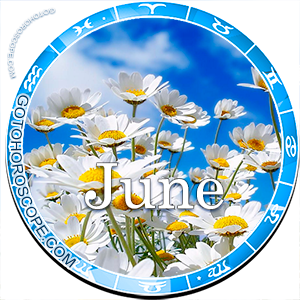 So focus and be ready that conflicted situations with your lover and relatives are waiting for you throughout the entire month, beginning from the First Moon Quarter (June 5th). To resolve the current problems you will need to collect all your strength and concentrate on each problem, one by one. This will not be simple, as your relatives will definitely try to strongly push you. The main thing is to contain yourself, and sequentially and objectively focus on each problem. If you will contain yourself and call upon the priority of the mind over feelings, then you will definitely be successful and most of the problems will be resolved in the shortest time possible. If you give into emotions, then there is a high possibility major and serious problems will come, managing which will reach a new level of difficulty. So be wise in how you spread your resources and think thrice before doing something.